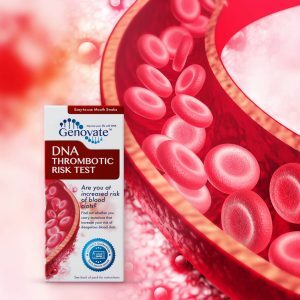 Home Health Blood Disorders Did you know DNA can cause thrombophilia? Did you know DNA can cause thrombophilia? You are cutting vegetables, one accidental slip, and your finger is bleeding. You are on your bike, and you swerve to avoid a squirrel. The next minute you are on the ground, and your knees are bleeding. In both scenarios, you might curse, but you are not too worried. You know the blood will quickly clot, and the bleeding will stop. But what if your blood clots too easily? This could be a sign of thrombophilia, when the blood has an increased tendency to form clots. 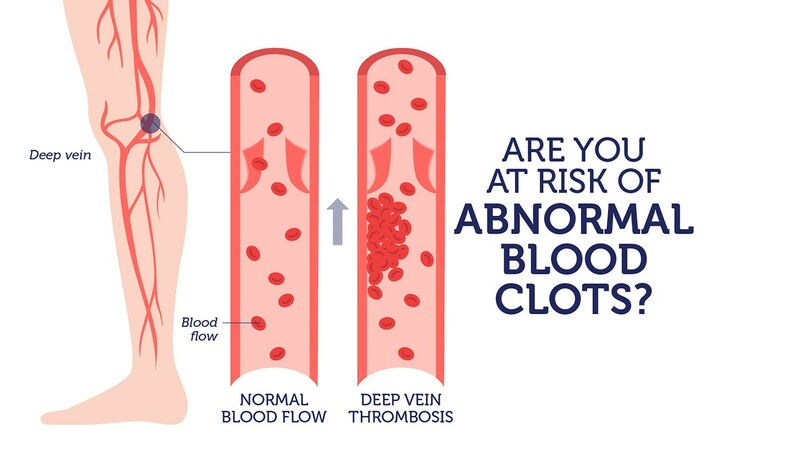 In people with thrombophilia, blood clots can form at any time, under any condition, anywhere in the body. 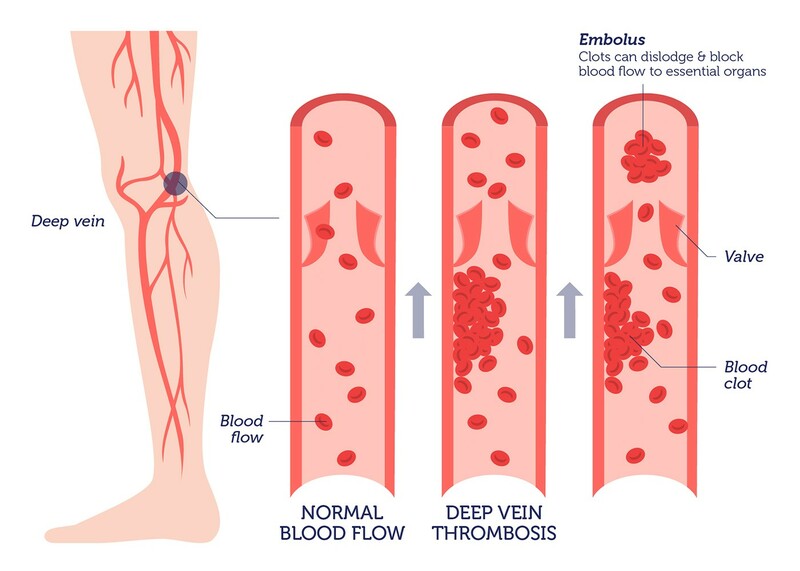 Venous thrombosis happens when a blood clot (or a thrombus) block one or more veins, commonly in the legs. Deep vein thrombosis (DVT) is the most common type of venous thrombosis. 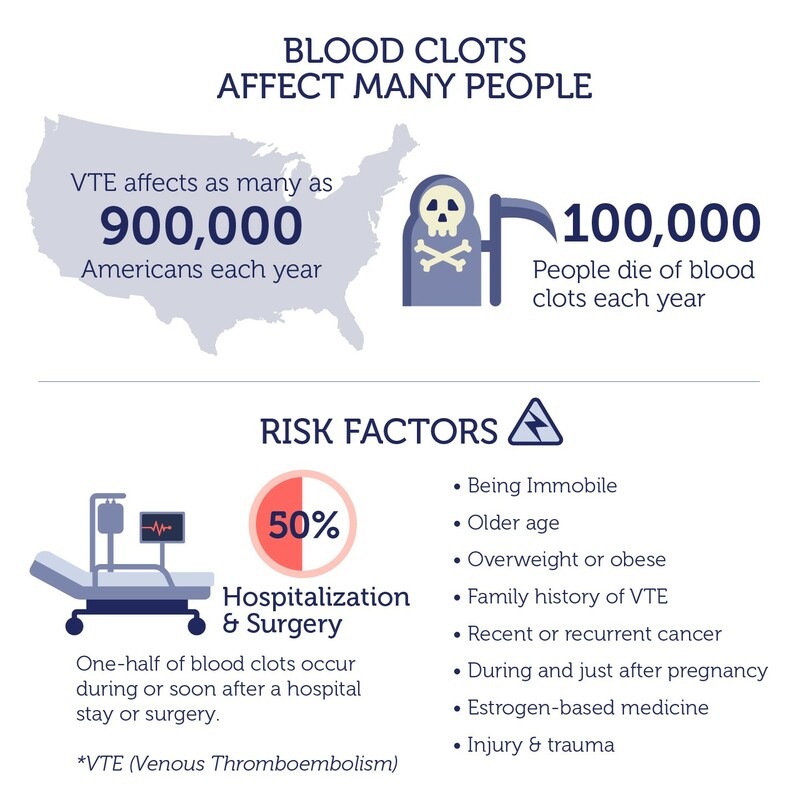 Over 600,000 people in the US are affected by DVT each year. About a third of them require hospitalization. A serious complication of DVT happens when the clot breaks loose and travels to the lungs, causing a pulmonary embolism. According to the Center for Disease Control, up to 100,000 people in the US are affected by pulmonary embolisms each year. Thrombotic risk factors can either be inherited or due to lifestyle choices. 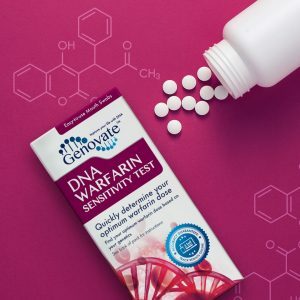 When there is a family history of blood clots, genetic tests can be used to determine the inherited risk of venous thrombosis. Typically these tests look at three genes, F5 (Factor V), F2 (Prothrombin) and MTHFR. The F5 gene encodes the Factor V clotting factor. When people inherit a genetic variant of F5 called Factor V Leiden, it becomes difficult to turn off this clotting agent. This increases the risk of abnormal blood clotting. Prothrombin (encoded by the F2 gene) is also involved in blood clotting. Individuals with a genetic variant of prothrombin make too much of this factor, which again stimulates blood clot formation. MTHFR encodes an enzyme that controls the levels of homocysteine, a chemical that promotes blood clotting. 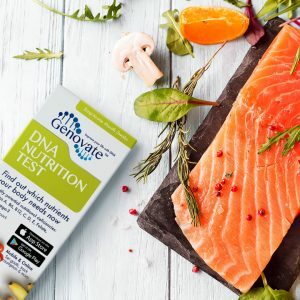 Elevated homocysteine levels are detected in people with a genetically altered version of MTHFR. These genetic variants can work alone or together to increase the risk of a dangerous blood clot. Not all people with these variants will develop blood clots. But, inheriting them will predispose people to venous thrombosis. For example, inheriting two copies of the Factor V Leiden mutation increases the risk of venous thrombosis by 80-fold. If someone inherits the Factor V Leiden mutation, and a defective MTHFR gene, their risk is even higher. What’s more, the MTHFR variant can also increase your risk of a heart attack and complications during pregnancy. Luckily, even if you are genetically susceptible to thrombosis, the risks can be managed. Lifestyle choices like smoking that raise blood pressure can increase the risk of forming harmful blood clots. On the other hand, a healthy diet, drinking enough water, regular stretching, and exercises that promote blood flow will minimize the risk of clotting. Also, if detected early, clots can be effectively treated with blood thinners. Thrombophilia may be life threatening, but by identifying risk factors, and by making wise choices towards prevention, it is possible to live a long and healthy life. 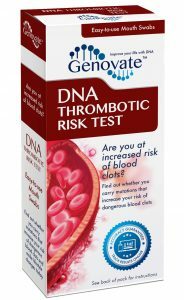 Find out if you are at risk of forming abnormal blood clots with the DNA Thrombotic Risk Test. Previous articleDid you know DNA influences your risk of narcolepsy? Next articleDid you know the APOE gene can affect your risk of cardiovascular disease?